Click on branch for more info. 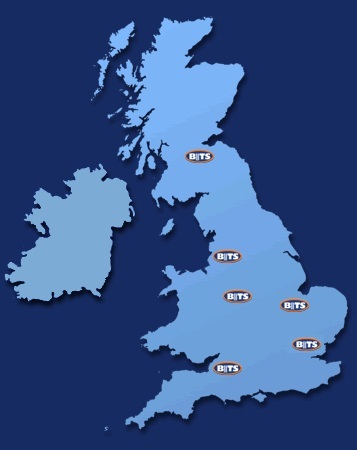 We cover a vast area between our depots. New trade accounts welcome. To download a B.I.T.S. trade account application form please click either here for a PDF document or here for spreadsheet version. Fill out the form, sign and attach a letterhead or compliment slip, and either post, fax, or email it using the contact details for the branch by clicking on the above location names.